When we last left the story, the Taylor City Council had overridden M ayor Jeffery Lamarand’s veto of its early vote to appoint James Tamm of O’Connor, DeGrazia, Tamm and O’Connor, P.C. as its City Attorney (at least for the time being). Of course, the final vote took place over the dead body obstruction of city council president, Cheryl Burke, who repeatedly refused to allow the vote over the course of one and a half meetings and one special meeting. To quote Gerald Ford, our national nightmare was over. But like Rasputin, the story won’t die. Today, the city council filed a motion in Wayne County asking Judge Virgil Clark Smith to order Lamarand and Burke to stop breaking the city charter and obstructing votes. The motion details all of the sordid details alleged charter breaches, from Lamarand firing the council’s “confidential” secretary without notice or discussion with the council just four days after taking office, blocking the secretary from entering her office when she was rehired, and of course, the much documented city attorney fiasco. The motion specifically asks that the judge order, among other things, that Burke allow votes to properly proposed resolutions, and Lamarand cease and desist from “usurping” the council’s power. And here I thought I was going to have to find something new to write about. 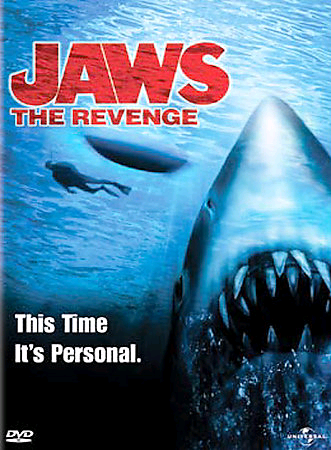 * When ranking the stupidest sequels of all time, as much as one may want to focus on Caddyshack II, at least consider Jaws 4: The Revenge should not be overlooked. You think you’ve seen movies based on stupid logic? Try this: After another shark attack in Amity, the Brody family (sans the late, great Roy Schneider, who knew better than to get involved) from the first two movies packs up and moves down to the Bahamas, fearing the shark wanted revenge for killing the sharks in the first two movies. What happens? The shark follows them down to the Bahamas, chaos ensues, brain cells go unused, shark dies. LANSING, Mich. (AP) — Gov. Jennifer Granholm is proposing a plan to entice eligible state government workers and public school employees to retire. It’s part of an effort to save money for the cash-strapped state. Granholm spoke about her plan Friday during a speech to the Lansing Rotary Club. It’s one of several priorities for the Democratic governor during her final year in office. She says it could save around $450 million in its first year. Other changes include a consolidated health care plan open to all public employees. Granholm will detail more proposals during her State of the State speech and her final budget proposal in early February. Michigan faces a budget deficit of at least $1.6 billion for the fiscal year starting Oct. 1. DETROIT (AP) — A federal judge has thrown out a $4.3 million jury verdict in a case involving a U.S. Army veteran who says he quit a job because co-workers made fun of his disabilities. James McKelvey lost his right hand and suffered other permanent injuries in a bombing in Iraq in 2004. He returned to Michigan and worked as an explosive specialist at the Army’s Warren Arsenal in suburban Detroit. U.S. District Judge John Corbett O’Meara said Wednesday that reinstating McKelvey is a better remedy than awarding him millions of dollars. The Army has offered him a $71,000 job. At trial last fall, McKelvey said it made him “sick” to even think about returning. His lawyer says the Macomb County man will appeal. McKelvey took a job with Oakland County in 2007. The full text of of McKelvey v. Geren is available here. Alger County Probate Court judge Charles C. Nebel has been suspended for 90 days by the Michigan Supreme Court after pleading guilty to driving while under the influence. According to the order, Nebel was nabbed on July 24, 2009 for driving over 105 miles per hour on Interstate 75 between St. Ignace and Munising. After his arrest, breath tests taken at the jail revealed he had a blood-alcohol level of .09. A couple of years ago, the Bankruptcy Court for the Eastern District of Michigan approved a standardized confirmation order for Chapter 13 cases, which, in part, attempted to cut out the middleman by ordering the IRS to send debtors’ tax refunds directly to the bankruptcy trustees overseeing their cases. Well, nobody, and we mean nobody, tells the IRS what to do. The IRS sued to stop the tax refund redirects. It later withdrew the suit and the parties tried to mediate a solution. Those efforts failed. As the IRS made plans to file another suit, the court’s six judges sent the IRS a letter insisting they had the authority to issue the redirect order. The IRS responded by reinstituting its suit. The Court finds that sovereign immunity has not been waived as to proceedings against the IRS redirecting tax refunds to be paid to chapter 13 Trustees instead of to the debtors. The Bankruptcy Court, therefore, had no jurisdiction and authority to enter chapter 13 confirmation orders ordering the IRS to redirect tax refunds to be paid to chapter 13 Trustees instead of to the debtors. Accordingly, IT IS ORDERED AND DECLARED that the chapter 13 Trustees for the Eastern District of Michigan may not seek to enforce any provisions of chapter 13 plan confirmation orders entered by the United States Bankruptcy Court for the Eastern District of Michigan that compel the IRS to pay future tax refunds claimed by chapter 13 debtors to the chapter 13 Trustees instead of to the debtors. IT IS FURTHER ORDERED that a writ of mandamus is issued prohibiting the United States Bankruptcy Court for the Eastern District of Michigan from entering any further orders containing redirection provisions of chapter 13 confirmation orders that compel the IRS to pay future tax refunds claimed by chapter 13 debtors to the chapter 13 Trustees instead of to the debtors. Yesterday, Bankruptcy Court Chief Judge Phillip J. Shefferly issued a Notice Regarding Tax Refunds In Chapter 13 Cases. The notice recapitulates the relief ordered in Carroll and contains a stern reminder. It is important to note that if a Chapter 13 plan or an order confirming a plan require the payment of tax refunds by a debtor to the Chapter 13 trustee, the debtor remains fully responsible to comply with such provision. The District Court Order only addresses whether the Internal Revenue Service can be ordered to send tax refunds to the Chapter 13 trustees, not whether the debtors must send tax refunds to the Chapter 13 trustees. Earlier this month, we posted a story about Charlevoix trying to raise the property taxes on a jointly owned tract of land after one of the joint owners died. The Court of Appeals held that there was no conveyance of the land after James Klooster’s death because of the joint ownership. CHARLEVOIX, Mich. (AP) — A northern Michigan city is asking the state Supreme Court to take a property tax case that is getting the attention of many other communities. In December, the Michigan Court of Appeals said it was illegal for Charlevoix to raise the taxable value of a house after the death of a co-owner. The court said the value could not be uncapped because there was no new transfer of ownership. Charlevoix’s lawyer, Bryan Graham, claims a loophole has been created. Assessors elsewhere are upset, too. Charlevoix is appealing to the Michigan Supreme Court, and the State Tax Commission will help by paying $10,000 in legal fees. Nathan Klooster’s (KLOW’-ster’s) mother and disabled sister live in the modest home. He was a joint tenant on the deed when his father died in 2005.